Home Microsoft Excel Why Is Only Part of My Spreadsheet Printing in Excel 2013? Have you been working on a spreadsheet, editing and adding data, only to print it and find that it isn’t including all of your data? This can be a confusing issue to encounter, as it is typically caused by a setting that was applied to that spreadsheet by someone else that was working on it. The reason that only part of your spreadsheet is printing in Excel 2013 is due to something called a Print Area. 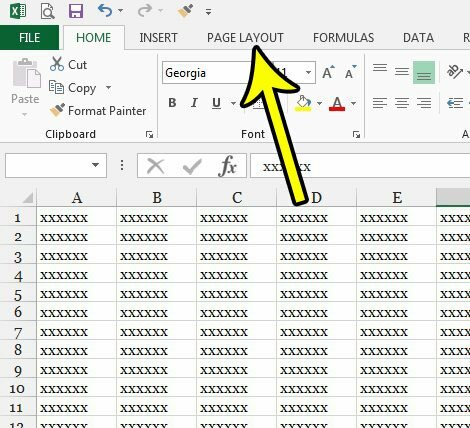 This is a setting for a spreadsheet where you can choose to only print part of the data that is included in the sheet. But if this setting is preventing you from printing a sheet correctly after a bit of editing, then our guide below will show you how to clear that Print Area and print the entire sheet instead. The steps in this article assume that you have a large spreadsheet with cells that contain data, but some of those cells aren’t printing. This is more common with spreadsheets that you receive from other people. Setting a print area is a helpful way to ensure that only specific information prints but if you edit a spreadsheet with a set print area, you can experience some odd results. Following the steps below to clear that print area will typically resolve issues where only part of a spreadsheet is printing. Step 3: Click the Print Area button in the Page Setup section of the ribbon, then click the Clear Print Area option. Note that you can also choose to adjust the print area by clicking the View tab at the top of the window, selecting the Page Break Preview option, then dragging the blue box borders to include all of the spreadsheet. 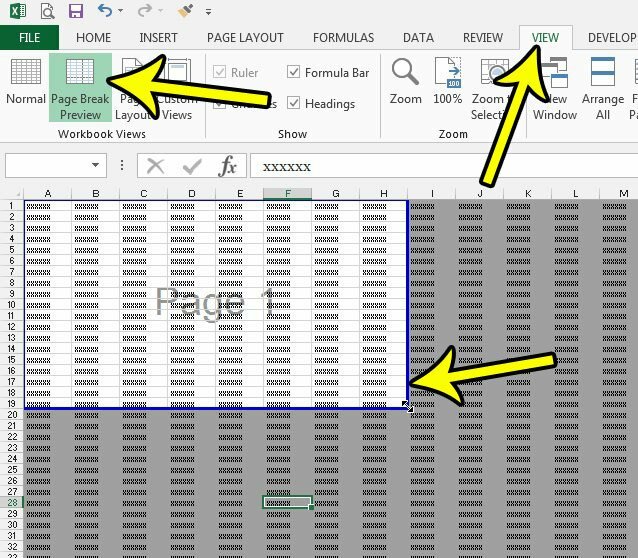 If you are experiencing other issues printing in Excel, then there are many things that you might be able to do which can resolve those issues. 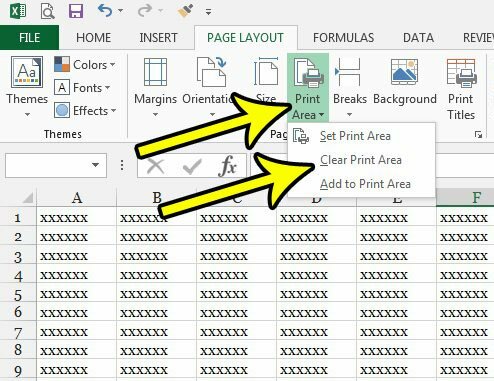 Check our Excel printing guide for some tips and settings that can make Excel printing a little easier.